The laboratory includes an environmental chamber with exercise equipment including various treadmills, a cycle trainer, and a cycle ergometer. The environmental chamber can range in temperature from 0-40°C, with control of relative humidity and wind. 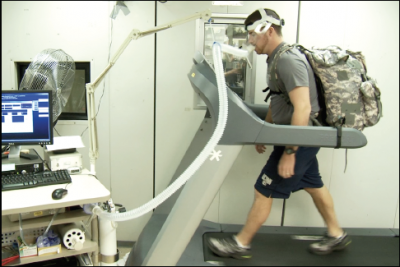 Various testing protocols take place in this space including, but not limited to, heat acclimatization, heat tolerance testing, sweat electrolyte testing, sweat rate determination, and VO2 max testing. 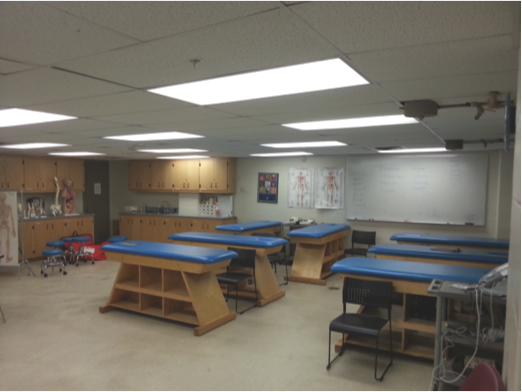 This learning environment designed for the Department of Kinesiology athletic training program was created to mimic an athletic training room in form and function. This room is used for classes in the athletic training curriculum to emphasize hands-on learning laboratory sessions, open lab times for study groups and review sessions, as well as certification examination test preparation. The Human Performance biochemical laboratory is utilized for research purposes to conduct various analyses of proteins in any biological tissue. 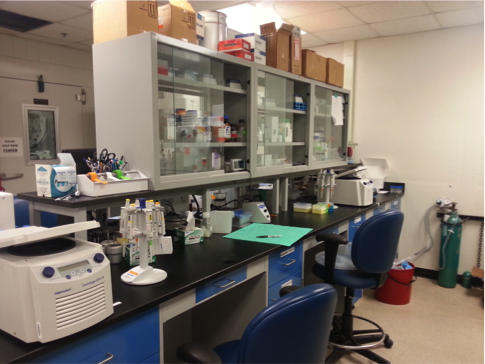 Some state-of-the-art equipment in this lab includes, but is not limited to, a flow cytometer, spectrophotometer, microplate reader, and a high performance liquid chromatography.